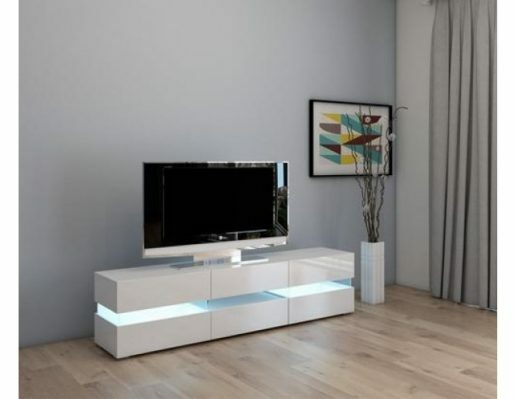 Product Features: * Simple but elegant and modern design; * Item will arrive flat-packed and require home assembly; * High quality high gloss MDF board and laminated chipboard; * Front panels are presented with a high gloss finish White and the body is white matt; * Comes with a cabinet with high gloss doors for more storage space; * Easy to assembly, comes complete with all fittings needed to assemble the TV Stand; * Stain resistant and easy to clean; * The TV cabinet comes complete with 2 tempered glass shelves with Multi-colour RGB LED backlight (remote control for colour changing included); * Suits most TVs, such as LCD, Flat, 3D, LED TVs etc; * Great for the study, bedroom, living room, office etc; Product Specification: * Model No: WW-TVC06; * Material: MDF, 12mm thickness board; * Colour: White; * Product Dimensions: 130(L) X 35(D) X 45(H)cm; * Weight Capacity: 30kg; * Carton Size: 138.5×41.5×12.5cm; * Weight: – N.W. : 25KGS; – G.W. 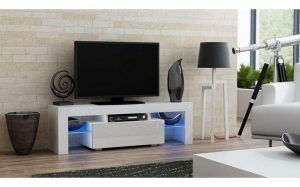 : 26KGS; Product Description: This contemporary and stylish TV cabinet is an ideal choice for living room furniture. Featuring a large stand top and two glass shelves with LED lighting which adds an attractive feature to your living room in the evenings, whilst providing more room for your entertainment media units. The unit features a matt finish and comes with a cabinet with high gloss doors for more storage space. 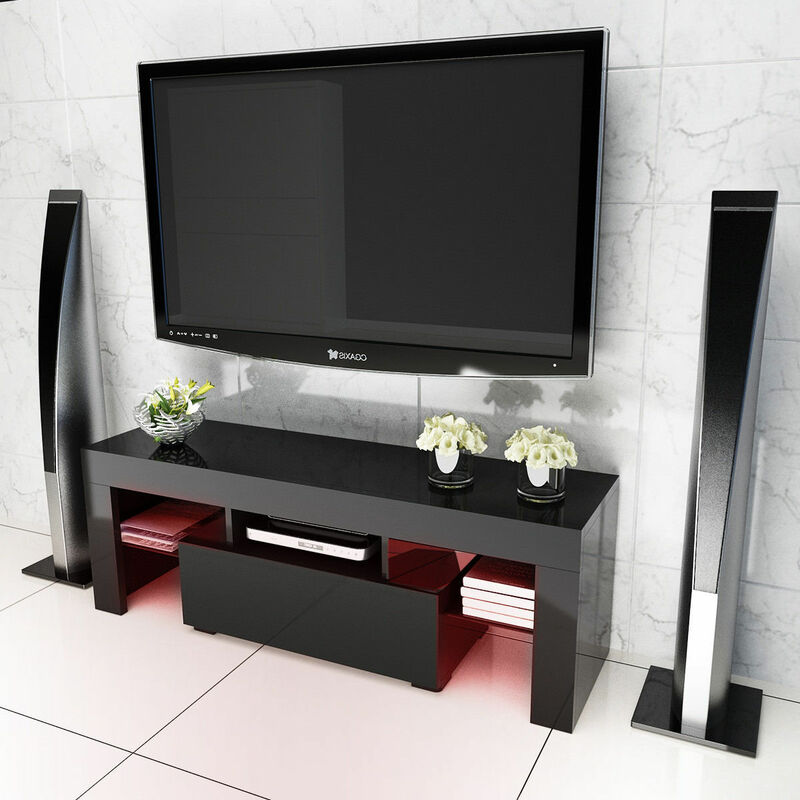 There may be no better way to add an individual touch of elegance to your living room than taking this TV stand home.